Dimensions: Width 6’6” x Depth 4’ x Height 5’8"
Keep your gardening tools, equipment and outdoor items protected and tidy with this Waltons Pent Metal Storage Shed. 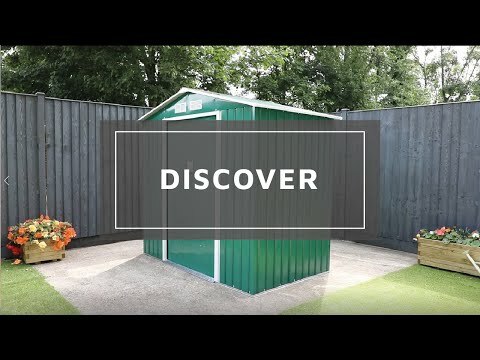 Made from high quality, low maintenance materials this shed is the ideal storage solution and provides a secure space to store away outdoor items. This shed features sliding double doors which provide easy access, great for manoeuvring larger items such as lawnmowers or tables. The double doors can be secured together simply with a padlock (not included) through the predrilled holes in the doors handles. The pent style roof prevents rainwater collecting, protecting the building from weather damage and keeping items inside dry. Integrated air vents prevent the build-up of condensation, to help keep your items dry. 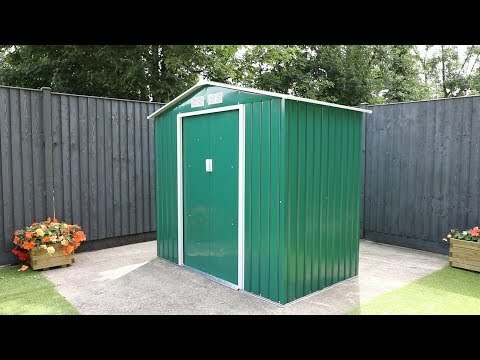 This shed provides enough space for a lawnmower, wheelbarrow, gardening tools or outdoor furniture. Please note: The entrance to shed is on the longer side. The product that arrived was not the product advertised (missing key selling points from it's description).